The study of crime and justice has long since stood amongst the principal sub-fields of social history. 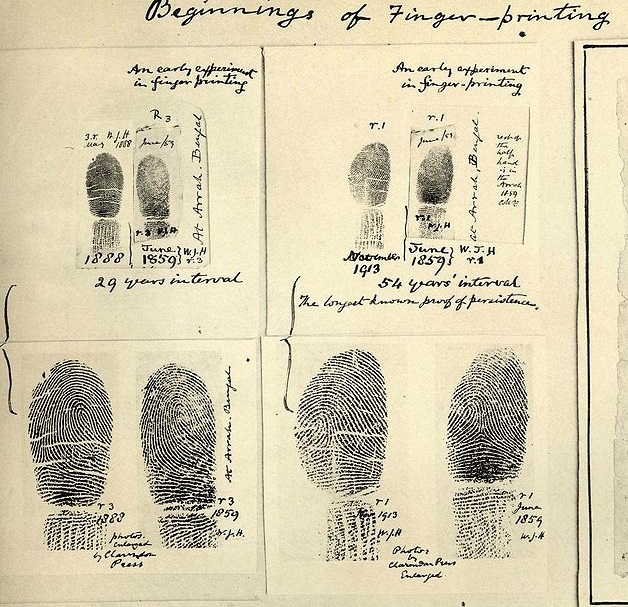 Crime history has produced some of the truly seminal work in social history at large, and innovative and exciting research is still pursued today. Yet in one respect, the social history of crime has never quite established itself – it has not gained recognition as a really vital sister discipline to contemporary criminology. Criminology is often characterised as a ‘rendezvous’ field, a meeting place for scholars of crime and control from multiple disciplinary perspectives. Nevertheless, and despite several ‘history and criminology’ initiatives over the years, history and criminology still have not reached a basis of sustained interdisciplinary exchange. There was a time when social historians enjoyed a more sustained and productive dialogue with criminologists than they do now. During the 1970s, those forging two original scholarly paths – the social history of crime and law on the one hand, and the ‘new’ (radical) criminology on the other – made common cause in the study of crime. Intellectually and politically, these two camps were substantially alike: they were broadly socialist and humanist in political outlook; they were each frustrated with the topical and theoretical conventions of their respective disciplines; and they each adopted a self-consciously critical approach to substantive issues of crime, public order and the rule of law. These similarities helped to sustain fruitful exchange between social historians and ‘critical’ criminologists into the mid-1980s. During this time, key works of crime history – the works of Edward Thompson, Douglas Hay, Robert Storch, Michael Ignatieff and others – became required reading across the disciplinary divide. Furthermore, major volumes on crime and control reserved almost equal space for historical as for contemporary scholarship. In retrospect, there was clearly rather more to this interdisciplinary dialogue than a correspondence of worldviews. Paul Lawrence has suggested that fertile exchange between crime historians and criminologists relies on a shared sense of historical time, and this was the case in the 1970s and early 1980s, when a common understanding of historical continuity linking past with present straddled the disciplinary divide. Hence, social historians tracing the reform of nineteenth-century criminal justice understood themselves to be uncovering the origins of a system of law-enforcement which had essentially endured up to their present. Likewise, criminologists studied this era of history in great detail thanks to its assumed foundational character. Both sets of scholars still perceived around them a modern, urban-industrial, class society, the like of which they were sure had been wrought at a quite specific historical juncture (from the late eighteenth to the mid-nineteenth century). Hence, historical research was integral to any foundational analysis (and critique) of contemporary society. This fruitful interchange between social historians and criminologists gradually eroded after the 1980s. It was arguably around this time that work in social history at large became more exclusively oriented to the past. Of course, many historians continued to borrow this or that piece of theory from the social sciences; more significantly, many historians still felt pressed to take up particular topics for study in light of developments in contemporary social and political life. Yet few scholars allowed the present experience of (say) law and order to intrude in any great measure upon their analysis of historical sources. At root here was the loss of that sense of continuity from past to present. The great debates over the nature, timing and social consequences of the industrial revolution effectually ruptured that common-sense view of our world as pretty straightforwardly modern. Meanwhile, social scientists perceived an ever-greater disjuncture between contemporary society (marked increasingly, they claimed, by consumption, leisure, gender and ethnicity) and the Victorian world in which it was supposedly ‘rooted’ (still framed in terms of production, work and class). Hence, both sides were increasingly dissatisfied with characterising their world as a more-or-less direct descendent of that wrought and reformed in the nineteenth century. The dislocation of social history from criminology has had important effects. A fresh wave of ‘crime and society’ surveys (superseding those written in the era of close history-criminology relations) has traced the transition to a new, ‘late-modern’ epoch in crime and control. These syntheses have been written by criminologists with a laudable appreciation of history, and they are in some respects compelling. Yet, presented with such narratives of sweeping change, social historians would be bound to probe for the unacknowledged continuities and the unrecognised parallels which demonstrate the continued link between past and present. 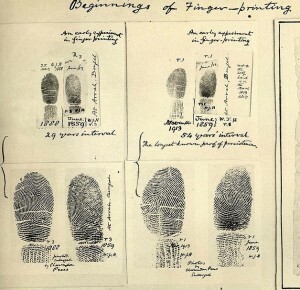 The principal stories which criminologists tell of ‘late modernity’ – the commodification of policing and security, the politicisation of criminal justice, the growing salience of risk and prevention, the punitive turn, the valorisation of the victim – would doubtless have taken a rather different form had social historians retained their once influential counsel regarding the process of historical change. There are, however, grounds for optimism that exchange between scholars of crime’s past and crime’s present may be resuscitated, and various projects and networks designed to bring about a renewal of dialogue are already up and running. To take just one example, a conference held recently at the Centre for Criminal Justice Studies (University of Leeds) brought together historians and criminologists to discuss policing, regulation and security across time, and to work towards new, interdisciplinary research initiatives which bridge the disciplinary divide. Sustained engagement of this kind has the potential to lay the foundations for the development of ‘historical criminology’ as a major field of scholarship on crime and society across time. Such a movement would chime well the present direction of social history as a whole. For some years now, there have been signs of some movement back towards the broad, long-term, macro perspective which marked out much of the best early work in the field. ‘Big’ history is firmly back on the agenda, including of the journal Social History: as its new editors assert, ‘social history would benefit from developing the ambition of scale, period and argumentation that is commonplace in historical sociology, historical geography, political economy and demography.’ The development of historical criminology as an ambitious mode of interdisciplinary scholarship, bridging past and present, promises to contribute substantially to this broader rejuvenation of ‘big’ social history. Furthermore, the development of historical criminology would present rich opportunities for interdisciplinary exchange across diverse fields of social history. Recent decades have seen considerable enlargement of the topical coverage of criminology as a field, which has embraced a progressively broader notion of what counts as crime and as regulation. Traditional studies of street crime and white collar offences are now supplemented by work on a wide range of social harms, including war crimes, genocide, people trafficking, terrorism, environmental pollution, safety violations and cybercrime. Meanwhile, the core criminological concern with state institutions of criminal justice has given way to study of a spectrum of regulatory agencies and techniques, spanning across agencies of state social policy, civil society, private commerce and local community. This topical diversification within criminology invites engagement from social historians whose work falls mainly outside of crime and criminal justice, notably in the history of labour, health, welfare, migration, empire and war. As in the 1970s – when the expansive (if ultimately unsatisfactory) concept of ‘social control’ provided the focus for much discussion – the dialogue between history and criminology should not concern historians of crime alone. However, whatever opportunities might present themselves for shared dialogue around particular topics, sustained engagement requires re-establishing lines of continuity linking past and present. As argued above, a sense of continuous social development through time assured the first social historians of crime and the ‘new’ criminologists a shared starting point for discussions across the sweep of historical time. Of course, it would be unwise to re-erect the specific temporal platform which suited them – as I have suggested, subsequent historiographical and sociological thinking has exposed the excessive burden placed upon the early nineteenth century as the site of modernity’s dawn. Instead, it would seem more appropriate to forge multiple lines of continuity linking different aspects of crime’s past with its present, and to conceptualise new ways of articulating past with present. In this way, social historians might once again use historical material to speak directly to contemporary concerns with deviance, harm and social justice. David Churchill is a Lecturer in Criminal Justice at the University of Leeds. See for example M. Fitzgerald, G. McLennan and J. Pawson (eds), Crime and Society: Readings in History and Theory (London: Routledge and Kegan Paul, 1981); S. Cohen and A. Scull (eds), Social Control and the State: Historical and Comparative Essays (Oxford: Martin Robertson, 1983). P. Lawrence, ‘History, Criminology and the “Use” of the Past’, Theoretical Criminology 16, 3 (2012), 313-328. See I. Taylor, Crime in Context: a Critical Criminology of Market Societies (Cambridge: Polity Press, 1999); J. Young, The Exclusive Society: Social Exclusion, Crime and Difference in Late Modernity (London: Sage, 1999); D. Garland, The Culture of Control: Crime and Social Order in Contemporary Society (Oxford: Oxford University Press, 2001); J. Lea, Crime & Modernity: Continuities in Left Realist Criminology (London: Sage, 2002). L. Jackson and G. Johnston, ‘Editorial’, Social History 40 (1) 2015, 3. This entry was posted in Uncategorised on 12th October 2015 by Grainne Goodwin.